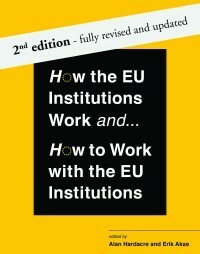 This book provides a practical step-by-step guide for anyone wanting to understand, study, or work with the EU institutions and decision-making. How are EU laws made – and how can their making be influenced at a practical level? And what has been the impact of changes brought about by the Treaty of Lisbon? The book is designed to provide a comprehensive FOUNDATION TEXT for students, libraries and practitioners alike and is UP-TO-DATE with the range of KEY CHANGES introduced under the Treaty of Lisbon. 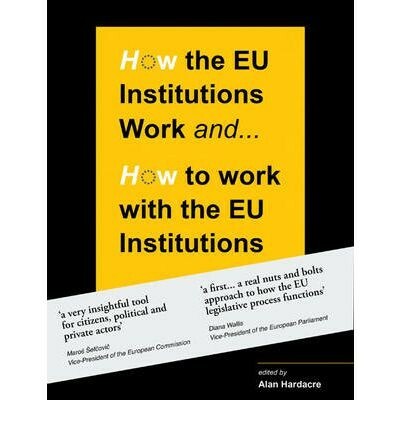 Written by a team of EXPERT CONTRIBUTORS, including public affairs professionals, led by Alan Hardacre of the European Institute of Public Administration (EIPA) in Maastricht, the book is packed with EASY-TO-FOLLOW figures and diagrams.